One of the greatest obstacles that foreigners face when coming to China for business is the language barrier. As a professional Xiamen interpreter and translator, I am able to assist you with this daunting challenge. Not only do I provide you with my translation and interpretation skills, but I will also help you to navigate the cultural differences that you may not be familiar with when visiting the country. 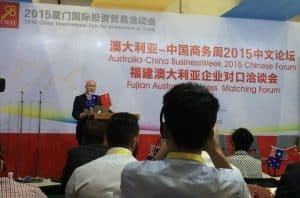 Allow me to accompany you to conferences, meetings with suppliers or associates, or at any other event at which you may require Chinese to English translation assistance. You can have complete confidence in my skills and abilities, as I will guide you through your trip from start to finish. I am here to make the communication process run smoothly every step of the way, whether it is speaking with a driver, negotiating at a production facility, speaking with vendors at exhibits, or attending a conference for business. Wherever it is that you need translation assistance, I am able to help. My English skills are excellent, making me a perfect choice for your translation and interpretation needs. I have traveled to wholesale markets, exhibitions, factories, and many other types of locations with my business clients over the years. I am able to bridge the language and communication gap that foreign business men and women face when expanding their work into China. With a trusted translator by your side, you can be sure that your trip will be a successful one. I also translate written material for clients, including emails, websites, and other documents. Don’t allow a language barrier to overwhelm you when doing business overseas. I am happy to help in all aspects of translation and interpretation, from verbal communications to printed texts and documents. I serve as your comprehensive English speaking guide. Xiamen, also called Amoy locates on the west coast of Taiwan Strait. It is second largest city in Fujian province next to the capital Fuzhou. It covers a total areas over 1,699 square kilo meters with a population of 3.7 millions. Xiamen is also titled with “garden city” as the the city’s green area makes up over 36% of its total. The beautiful environment attracts thousands of tourists from other cities and foreigners from different countries. Gulangyu, Xiamen University, Botanical Garden, Nanputou Temple, Huan Dao Road, Hulishan Fortress, Zhongshan Road, Bailuzhou Park. Etc.